If you haven’t done your VT yet here is a great idea. If you have done it you can still drop off a little treat for you sisters. I was reading my daily blogs and found and idea on this blog. 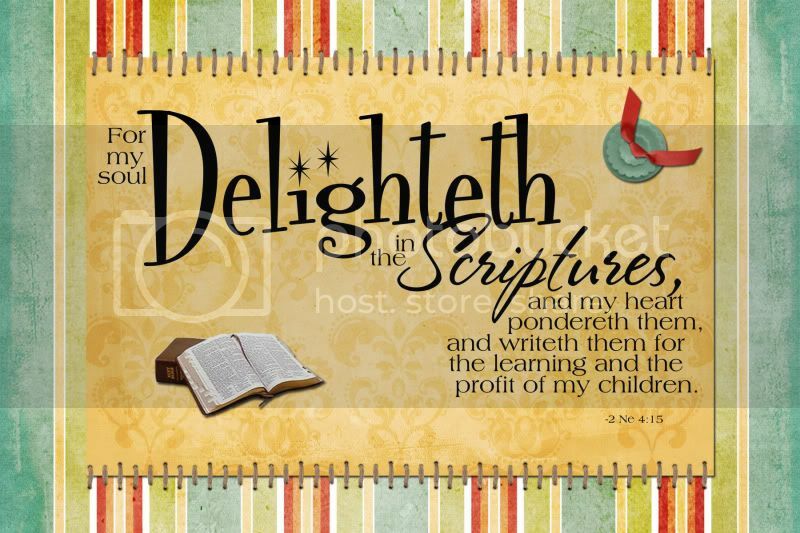 Here is the idea: So, my sister wanted me to “WordArt” this scripture for her the other day. She was going Visiting Teaching, and wanted to put it on a handout. She said it’s the Visiting Teaching message scripture for the month of April. She was gonna print it out, and attach it to a Betty Crocker Warm Delights thingy. She’s so clever! So I took the word art and made card with it. This is what it looks like. It is 6×4. Final cost ONLY .57 each!